While Tony Stark goes gallivanting in his epic costume, showing off everything that Stark Industries produce in excess, we, in this sorry universe only wait in hope. 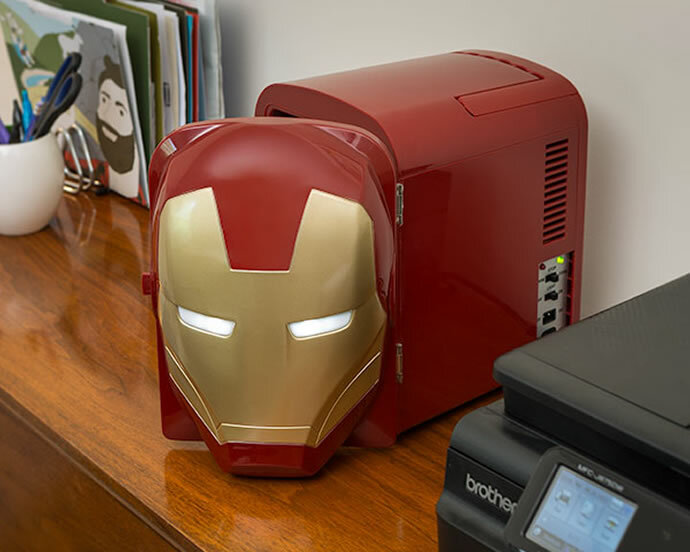 Since the Marvel movies are nothing but an impression behind paper back or the silver screen, we take delight in the littler joys of life, like the Iron Man Mini Fridge. 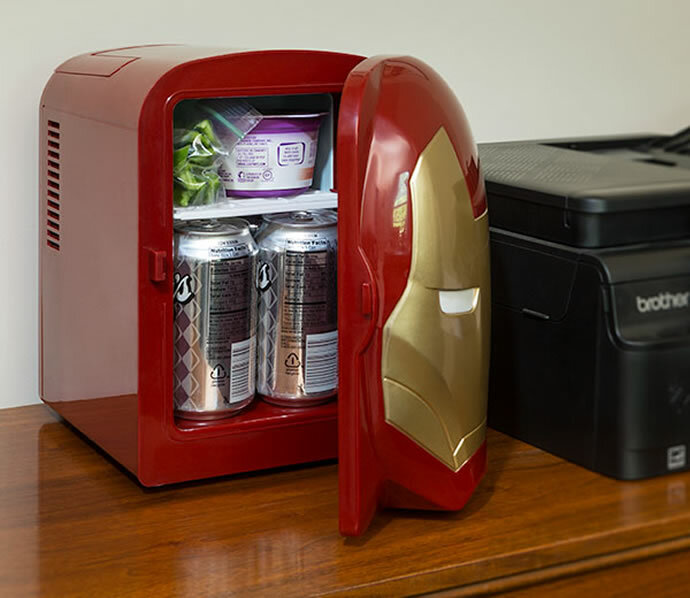 ThinkGeek has impressed as usual with this fridge in cosplay that is officially licensed by Marvel and has a 3D printed Iron Man face on the door. The eyes on the face light up to indicate power. A convenient carry handle and light weight makes it extremely portable for all your geeky adventures. The fridge can contain up to six 12-ounce cans of beer. As if that was not enough, the makers have thrown in a removable shelf as well. 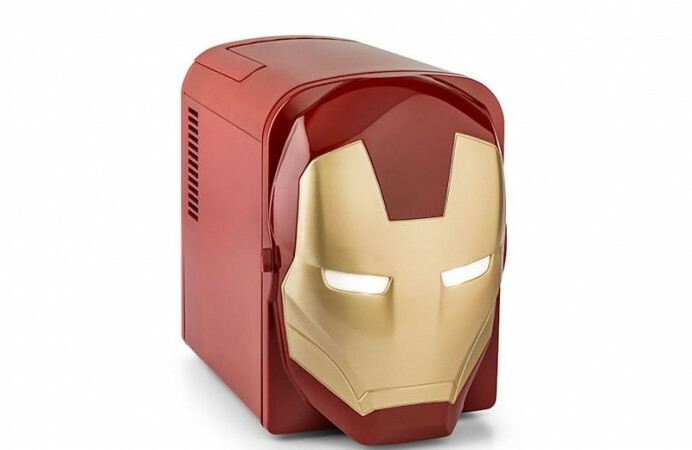 The Iron Man Mini Fridge is available for just $80. If Tony Stark resided in this Universe, he’d be dishing them out to his loyalists for free.